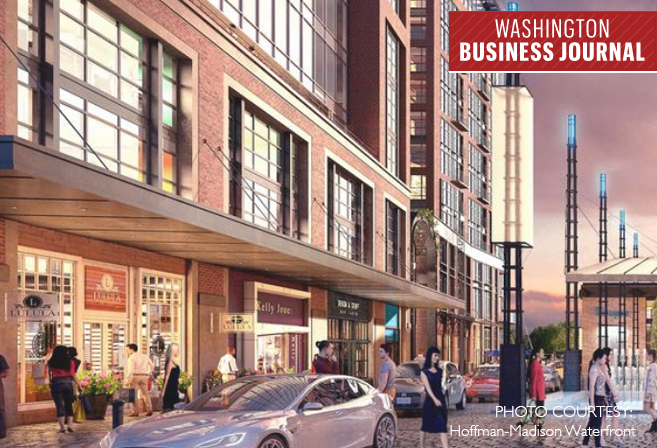 The Wharf in Southwest D.C. will be home to several locally owned boutiques, including new outposts from established names in the region, Wharf developer Hoffman Madison Waterfront said Tuesday. Most of the retailers will cluster around District Square, an open space next to The Anthem music venue that is meant to serve as the development’s shopping hub. Included in the retail offerings will be the second area location of Ligne Roset, a French furniture showroom with an existing D.C. store in Georgetown. The store will take 2,749 square feet.